On April 27 the controversial and versatile Jamaican deejay Sizzla drops his long-awaited album for Australian producer Jake “Mista Savona” Savona. It’s titled Born a King and collects the already released single I’m Living. Mista Savona and Sizzla have previously recorded the Middle Eastern-flavored Why Does the World Cry, a tune put out on the excellent compilation Warn the Nation. Mista Savona is a clever and inspired producer not afraid of trying new ideas or breaking musical boundaries, and Born a King will most certainly be one of the highlights this year. 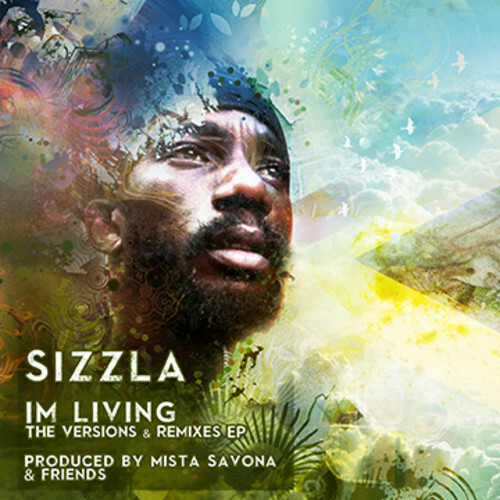 While waiting for the new Sizzla album Mista Savona and his label Muti Music have outdone themselves with remixing and versioning I’m Living and its ethereal riddim. On February 26 Muti Music drops I’m Living (The Versions) and I’m Living (The Remixes). Together they collect 17 cuts, including the original mix, which is one of the strongest, but actually not THE strongest. The gold medal goes to Cornel Campbell & Burro Banton and their Pressure. A five minute long masterpiece where Cornel Campbell sings the chorus and Burro Banton gravels in the verses. Other vocalists featured on the versions album are Prince Alla, Ilements and Pinchers. The electronic remixes are courtesy of 3redeye, B.R.E.E.D, Ed Solo & Stickybuds, Gaudi and Mista Savona himself. Check Soundcloud below to get the feeling.